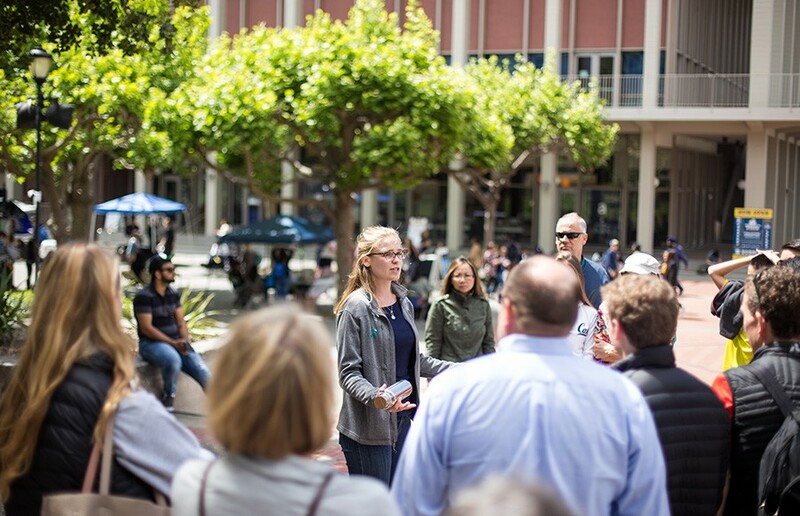 The Daily Californian: So why did you want to be a tour guide? 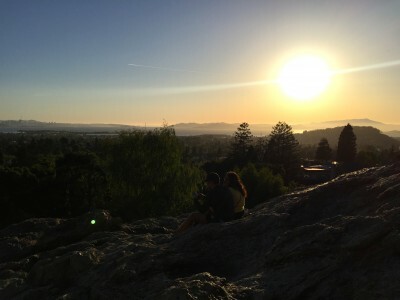 Becca Berelson: My tour guide was amazing here at Cal, and I noticed how much tour guides had swayed my opinions on a school, and how I looked at a school, if I wanted to go there. It was super determined by how my tour guide presented the school and so, my tour guide here was just incredible and I was like, “OK, this place is good.” And so, I wanted to be able to recreate that for prospective students — just hopefully helping out other students find their perfect school — and since I think Cal’s great. DC: What have you learned from being a tour guide? BB: I guess things I’ve learned are that there is a lot of diversity in the population that applies to this school, which is great. DC: What are you like on a tour? BB: I always end up getting slightly quirky, more quirky than normal. And I project, a lot. So I tend to just kind of shout and I get kind of goofy and I’ll tell a lot of dumb jokes that people usually laugh at sympathetically — not because they are actually that funny. DC: Why should people tour Cal? BB: It gives you the student’s perspective. So going on a tour with a tour guide, like we’re all students ourselves, so when we walk around we can provide anecdotes about the school, and talk about why this school has been a good place for us and what makes it a unique place — where sometimes it’s hard not to see Cal as this big, giant institution. One of the most feedback I get from my tours is that a lot of parents and students will say the tour made Cal seem like a smaller place and less intimidating. That’s probably one of the best things a tour can provide. DC: What is your favorite part of giving a tour? BB: I love talking about the Free Speech Movement. I think it’s just one of the most defining aspects of Cal history that’s shaped who we are as a current campus and our current campus climate. So I get super passionate when I talk about it just because I think it’s beautiful. DC: Could you elaborate on the Free Speech Movement a little more? BB: Yeah, so in 1964 there was a lot going on in politics with the Vietnam War, etc. — and the students really wanted to be able to talk about free speech and have free speech on campus: demonstrations, protests — that sort of thing. And the administration wasn’t really having it, so what the students did was one night, they chained together the doors of California Hall. And this was a big problem because this was the office of the chancellor at the time and at that time they didn’t have Google Drive or anything, so he really needed his office to be able to run the school. So, it was a really big deal. The university retaliated, there was a police force — all this crazy stuff going on. There are really famous pictures of Mario Savio, the leader of the Free Speech Movement, standing atop this police car talking about free speech. It’s just totally affected who we are. 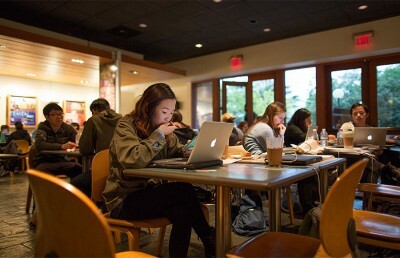 Cal students tend to be pretty passionate and activists and really driven. We’re just committed to social issues, aware of politics and current events — which I think is a really beautiful thing. I think that without the Free Speech Movement, we might not be like that or have that reputation as much. 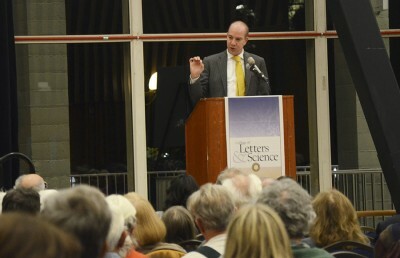 DC: Why should other UC Berkeley students consider becoming a tour guide? BB: If they love the school, it’s a really cool place to show off. It’s also one of the best ways to reaffirm why you love the school. Cal is very challenging, so if you’re ever feeling down in a slump or you have a midterm or something, when you give a tour you have to talk about Cal like it’s the best place on the earth. And that really helps you see the positivity in going to a place like this. So, it always makes me feel happier at the end.